In the home decoration, many people will choose some lamps, the choice of lamps, wood floor lamp is very good, because such a lamp is very, can create a warm feeling, and the overall shape The words are also very good. As a decorative luminaire, the floor lamp can be used as a lighting for some areas. Of course, it can also be used with some other light sources. It is very beautiful, but it is also an important choice for home lighting. Let's talk about how this wooden floor lamp should be purchased at the time of purchase. When buying a wooden floor lamp, be sure to pay attention to it. It is a luminosity problem. The lower edge of the lampshade must be lower than the eye. Otherwise, the eye will feel very uncomfortable, and you must choose as much as possible. 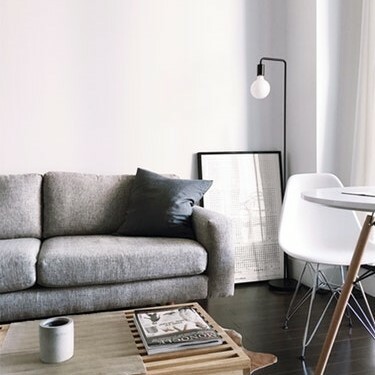 Adjust some of the floor lamps, because in the process of use, because the light lines will be more concentrated, you should also avoid placing some static or some glass products in some reading areas, otherwise it will easily appear reflective, which makes some are not particularly adapted. a feeling of. In addition, when you purchase, you also need to pay attention to the height. This height refers not only to the height of the wooden floor lamp, but also the height of the ceiling, the height of the ceiling, if it is particularly low, then a kind like this With the floor lamp, you can't choose some lower ones. If the ceiling is too low, the light can only be concentrated in some local areas, and it is easy to make people feel that the light is too bright and not soft enough. So this is also a question to consider when buying a floor lamp.